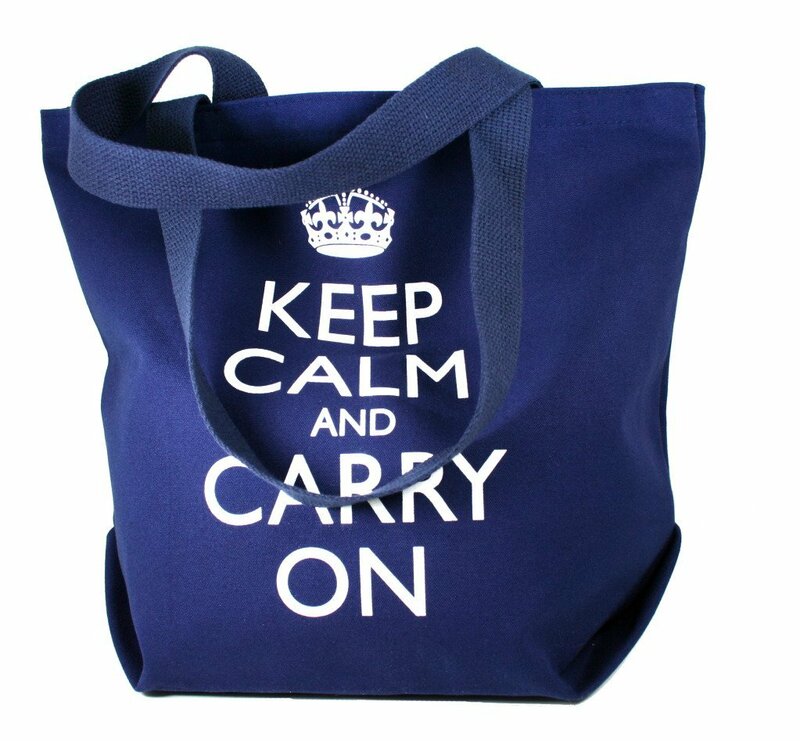 No matter how heavy your tote bag becomes, a Keep Calm and Carry On tote bag will inspire you to carry on. Choose from a classic canvas tote bag, reusable tote bags and napsaks. You can use it every day or for occasional trips. Each tote bag is durable enough for everyday heavy loads like books, groceries or gym clothes. And any of our tote bags or napsaks are foldable to take along for an extra tote bag wherever you go.